Built in the Ming dynasty (1368-1644) and rebuilt in 1655. The Qing (1644-1911) Xianfeng Emperor (r. 1851-1861) once lived here with his mother in his childhood. 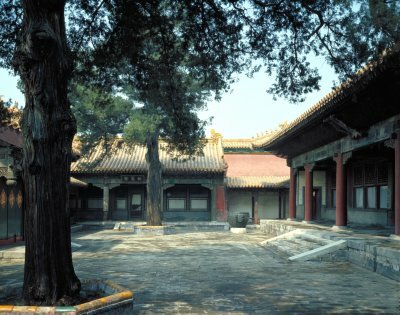 The Emperor Guangxu's Empress occupied the palace early or late.